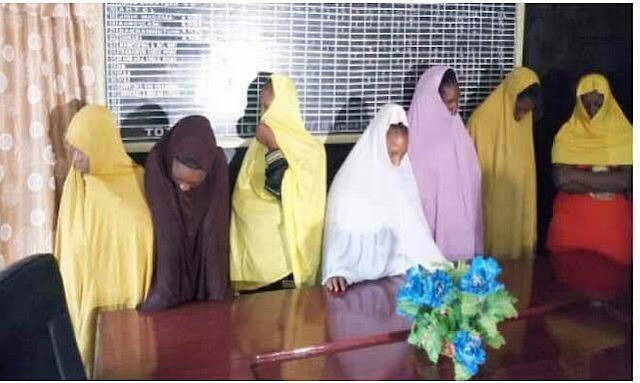 Seven girls using hijab to disguise themselves and evade arrest were among the 12 persons intercepted by the Nigeria Immigration Service (NIS) in Katsina on their way to Europe. This brings the total number of persons apprehended by the NIS to 40 in the last four months as they tried to cross various legal and illegal routes to Agadez in Niger Republic en route Libya then Europe. The victims are Dennis Igbobo, Elvis Osas, Earnest Ugiagbe, Bright John, Lucky Iyare, Gift Osagie, Godday Ruth, Ovioma Gift, Otoboh Fabour, Believe James, Endurance Idemadia and Marian Josiah. Some of the victims told Daily Trust that they were pushed by hardship and the search for better opportunities. John, 30 years, a footballer said he intended to go to Europe to search for a professional football club. For Favour, 27, the eldest daughter in a family of 6 and a graduate of Mass Communication, said lack of jobs prompted her to seek for other options abroad. 0 Comment to "12 Girls Arrested in Katsina On Their Way To Europe"